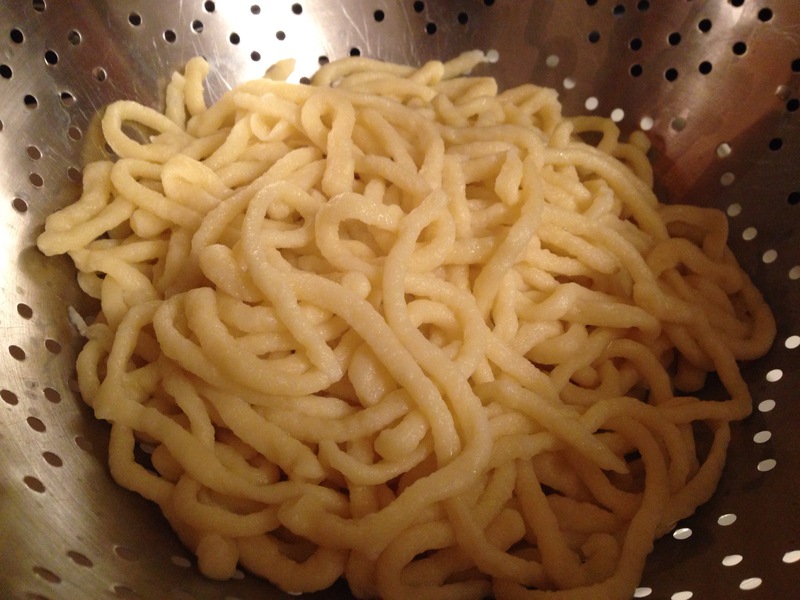 My friend taught me to make this German version of egg noodles several years ago, and even gave me a spaetzle press. I haven’t made any in a long time, but was recently inspired to make them again. You can form them in long strings, or cut them into short lengths. She told me yesterday that they freeze well, so that is the route I am going to go next time. Mix with dough hook till very elastic. I let my mixer run about 20 min. 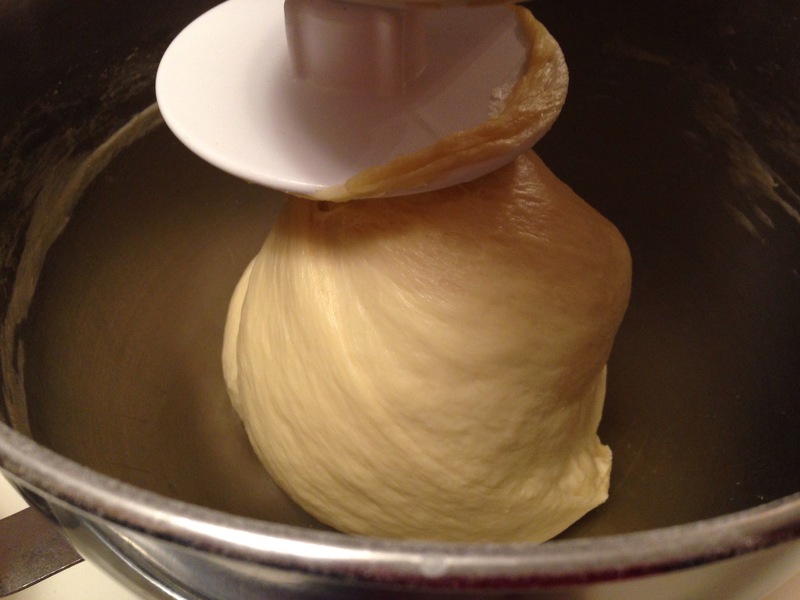 Squeeze portions of the dough through the press (or cut off thin bits in the boiling water using a small cutting board and a knife). 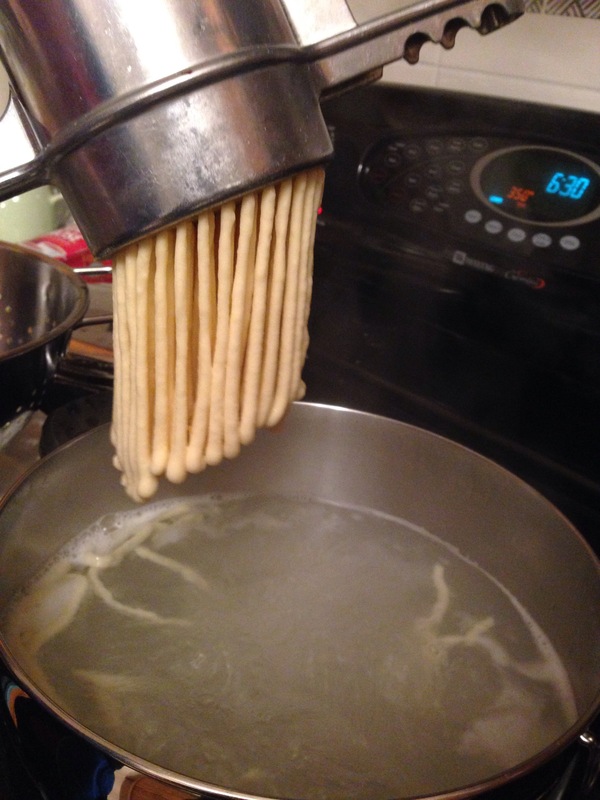 Dunk the press into the water to get noodles to drop into the water. They don’t need long to cook. Three minutes or so. Scoop them into a colander and do another batch. Only do one or two press-fulls at a time so the boiling water doesn’t cool too much. 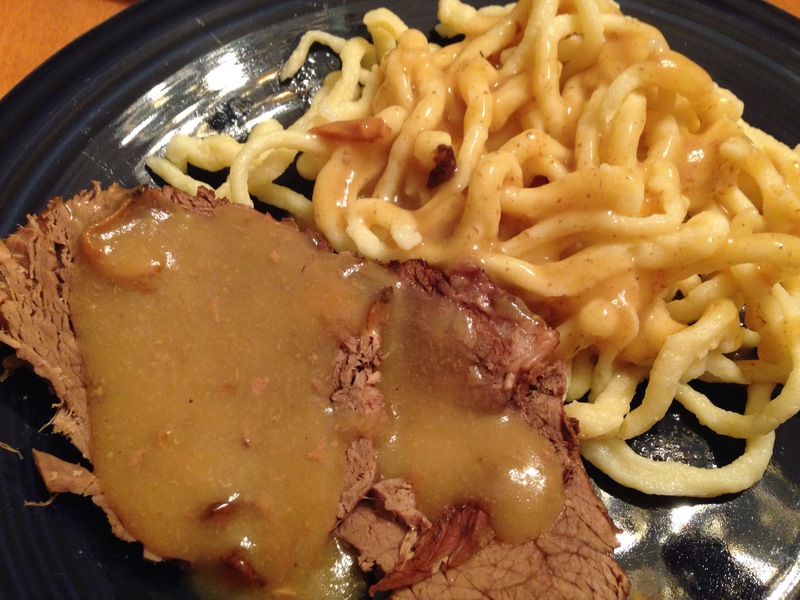 Serve with butter or beef gravy, Alternatively, fry them with some onions and bacon.